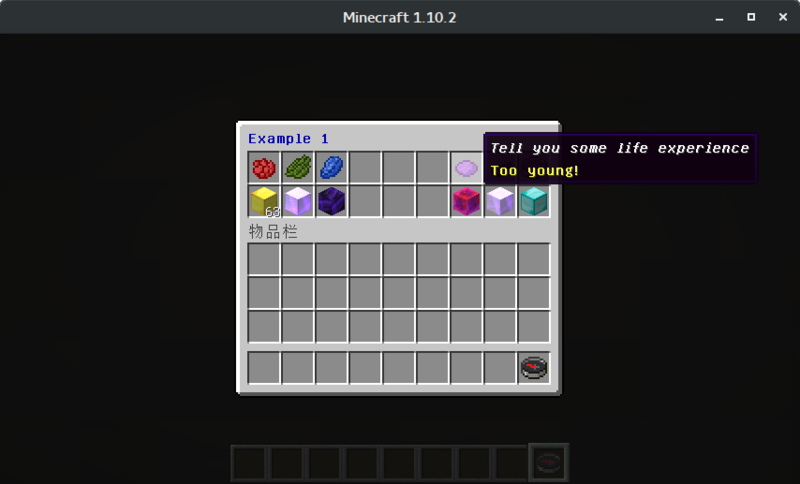 VirtualChest is a sponge plugin which provides virtual chest GUIs for menus like ChestCommands. The plugin uses sponge api 5.0.0, and additionly supports api 7.0.0, so it is expected to work normally on spongevanilla/spongeforge 1.10.2, 1.11.2, and 1.12.2 servers. There are some example GUI configurations which you can copy and edit for your custom GUI menus, and they will be extracted when the plugin is loaded. There is a wiki for v0.4.0 or higher versions of VirtualChest. The plugin now is not so stable because of the lack of testing. If a bug was found, you can make an issue or a pull request on GitHub. This plugin is licensed under LGPL 3.0 license, and you can spread it to almost anywhere applicable to LGPL license without having to manually request for my agreement. There are only two places which need to be noticed: mcbbs (a Minecraft forum in China, http://www.mcbbs.net/), and here. The only reason is that I have already posted the plugin there, and the repost is not welcomed by forums.